Travel Tips When Visiting San Diego, California! 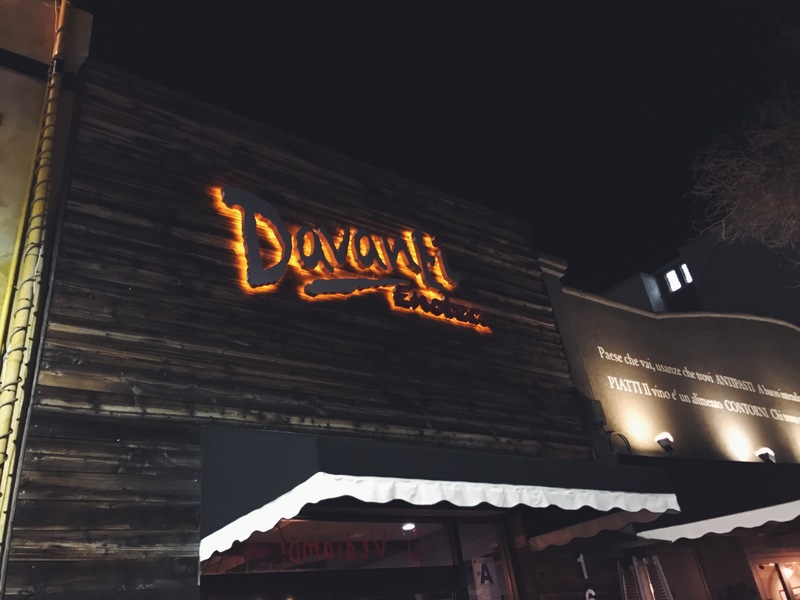 We tried multiple restaurants, but dinner at Davanti Enoteca was by far the best. Yelp’s #1 dinner spot in Little Italy did not disappoint. We almost passed up the opportunity to dine in their backyard patio, but the waiter insisted. The private patio was beautifully lit with string lights, opened to the skies, and perfect for a romantic dinner. 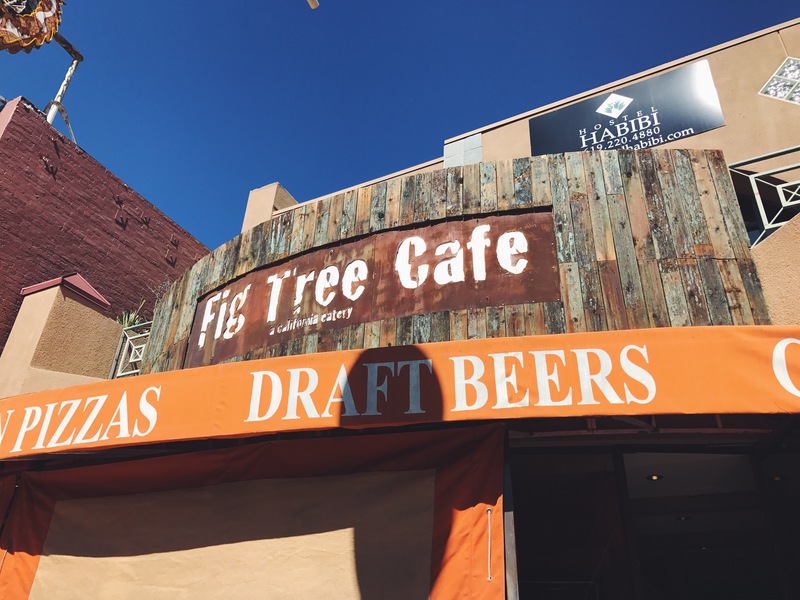 The Fig Tree Cafe had the best breakfast in San Diego! I felt super LA shooting their detox shots before my meal. The eggs benedict was exactly what you need for a day of adventuring around the San Diego area! It always rains for at least one day while you’re on vacation. The one day that it rained during our trip to SD, we took cover at Ballast Point. Having a boyfriend that dabbles in brewing, I can guarantee that their tasting flight will not disappoint IPA lovers. 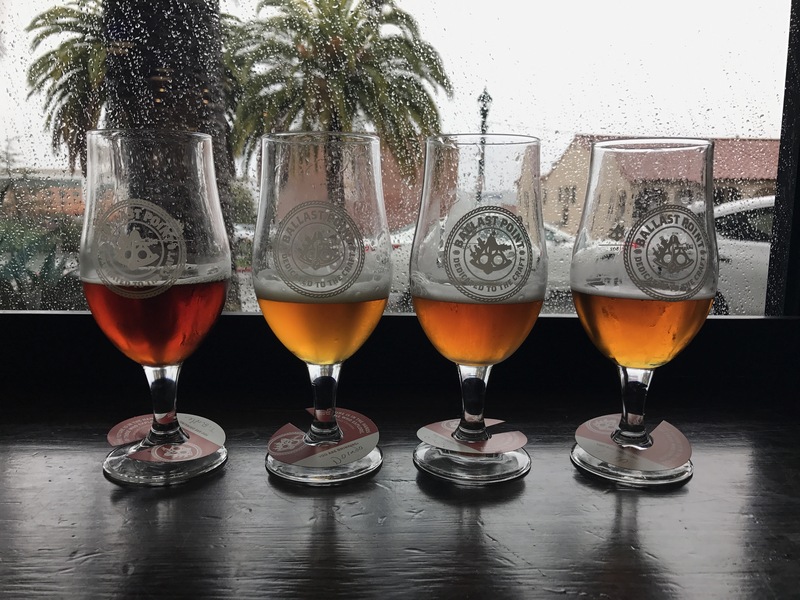 We grabbed a window seat, watched the rain come down while sipping hoppy brews! Last but certainly not least, Communal Coffee was my favourite spot in San Diego. This chic hole-in-the-wall cafe doubles as a cacti nursery and the best coffee joint in the university district. The cafe screams Instagram! You will definitely take tons of grammable shots here. You can sip your iced chai tea latte* while picking out the perfect cactus for your desk. *You have to try their iced chai tea latte, it was heaven on earth. After dinner at Davanti Enoteca, we were craving something sweet. It was the evening after Tyler presented his research at the conference we were attending in San Diego, and we needed to do something celebratory. On the outside, Extraordinary Desserts seems mundane. But, once you enter the dessert bar the atmosphere completely changes. It was exactly like it sounds: a bar that sells desserts. At 9pm every table was full and the room was buzzing with conversation. Not only is the concept of a dessert bar unique, the desserts tasted incredible. Each dessert was plated and carefully constructed in the way that you see in five-star restaurants or even on the Masterchef! What to see and things to do when you’re in San Diego!